How has ViZn’s Zinc Redox Flow Battery overcome the key obstacles often faced within the industry (safety, cost, etc.)? Cost Effective: ViZn implements low-cost chemistry, construction materials, and manufacturing processes which provide the foundation for a cost-effective system. The performance characteristics of the battery have been optimized to provide the best economic value to our customers. In a micro-grid application, the ViZn battery system teamed with renewable generation can provide 20 percent annual returns over diesel-only generation. Safe: ViZn’s battery chemistry is safe as it uses food-grade material that is non-flammable, non-explosive, and non-toxic. Scalable: ViZn’s Zinc Redox Flow Battery has the ability to scale to hundreds of Megawatts. Reliable: ViZn’s Zinc Redox Flow Battery is estimated to have a 20 plus year lifespan. Sustainable: ViZn’s Zinc Redox Flow Battery is composed of widely abundant and low cost materials. What type of research and product development has been involved in creating ViZn’s Z20 160 kWh Zinc Redox Flow Battery that will assist in industry adoption? The original research was funded by the Department of Energy over an 8 year timeframe. The past 4 years, ViZn has leveraged that original research and engaged industry leaders to bring a product to market that meets the performance and cost specifications of our targeted customers. With over twelve years of research and intense product development cycles behind it, ViZn’s patented flow-battery technology breaks the cost/benefit threshold that is currently limiting widespread adoption of storage. Delivering a 1MW /2MWh battery system at lower pricing than current competition allows for more rapid industry adoption, wider commercial acceptance, and facilitates a reduction of fossil fuel carbon emissions. How is ViZn’s Zinc Redox technology ideal for the micro-grid market? ViZn’s Zinc Redox technology has been designed to optimize the balance between power and capacity, which allows the battery to provide more economic value to ViZn’s micro-grid customers. ViZn’s battery can provide power services such as renewable integration, regulation and ramping, while having enough energy capacity to economically provide load shifting and energy arbitrage. In addition, the 20 year life and safe operation of our battery separate us from other competing technologies. What are the details around Pricing and Availability for ViZn’s Z20 160 kWh Zinc Redox Flow Battery? ViZn Energy is taking orders now for deployments in 2014. Full commercial launch will begin in Q4 of 2014. What makes grid-scale storage critical for the future of the world electricity supply? The rapid growth of wind and solar as key components of the power grid is placing significant stress on grid stability, in both developed and developing countries, due to the intermittent and variable decentralized nature of those resources. Combined with the aging infrastructure of the power grid and political pressure to reduce both nuclear and coal-fired generation, grid-scale storage is now recognized as a critical technology for the future of the world electricity supply. Grid-scale storage is the enabling technology for the continued growth of alternative energy. It can be used for power management (peak shaving) and power quality (voltage/frequency fluctuation), which are required if alternative energy is ever going to become an economically viable and sustainable part of global power generation. What is the customer benefit to implementing ViZn’s Z20 160 kWh Zinc Redox Flow Battery? Who are key industry/business customer targets? The key benefit to the customer and the public is making more efficient use of our energy resources by reducing waste, improving utilization of existing infrastructure, improving the stability and reliability of the grid, and enabling the increased penetration of renewable energy. While our initial target customers have been micro-grid developers, we are seeing a significant rise in interest from renewable developers, industrial customers, and traditional utilities. The grid has significant challenges ahead of it and energy storage will play a critical role in the way we generate, distribute and consume energy in the future. We believe ViZn Energy will be a key player in this rapidly developing market. What are the equipment, housing and space requirements needed for a utility scale flow battery storage facility? A grid scale storage system for a 1MW, 2.5MWh flow battery system including the power conversion system will require about 6,000 sq ft. The batteries are designed to be enclosed in a self-contained shipping container and connected externally. Extra cooling systems that some competition technologies require to keep the battery from having an explosive thermal runaway is not required in ViZn Energy System’s Redox Flow Battery. Looking forward, will the addition of a storage component add a large expense to the cost of electricity in the future? If the goal is a future where much of the electricity comes from alternative energy sources and minimizing the carbon footprint, then wide spread implementation of grid level storage is required to minimize the overall investment to make a reliable grid capable of meeting the needs in the future. Storage will actually lower the cost of electricity. Without storage, significant investment will be required in either new transmission capacity, or fast reacting fossil fuel generators that are only used a few hours per day and have significant O&M costs. If the goal is electricity at the lowest possible cost, regardless of how it is generated (coal, nuclear, etc), then grid scale storage will be cost effective in limited applications. Is there an optimum capacity range for a micro-grid system that would take the best economic and physical advantage of renewable energy generation and storage? A micro-grid built from renewable energy generators combined with storage and the use of either diesel generators or grid tie for back-up are very economical today in the scale of 500kw to 40MW and can produce electricity for less than $.25 per kwh. Our modeling shows that a battery will need between 2-3 hours of storage to provide the maximum services and economic returns for micro-grid customers. These systems can significantly reduce the cost of energy today for islands and remote locations where they use diesel generators. In just a few years, 2-5 by our projections, independent micro-grids using alternative energy generators and storage will be lower cost than the local utilities in many locations with abundant wind and solar. Craig Wilkins is currently the President and CEO of Vizn Energy Systems, Inc. Wilkins has 25 years of sales and business management experience with a variety of start-ups and privately held companies. Previously, Craig was the founder and President and CEO of Acceptance Capital Mortgage Corporation, which was the 11th largest mortgage broker in the United States in 2007 and continues to operate today. Craig was also a founder and principal owner of NetWireless and managed the eastern United States region while developing the corporate account team. 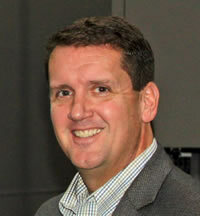 When NetWireless sold to Bearcom, Craig managed the combined corporate account teams for the company. Prior to his work at NetWireless, Craig was the Director of Sales for CSI Financial, the second largest purchaser of hospital receivables in the United States. Craig has a BA in Finance from the University of Montana and completed his graduate studies in Economics.